dESIGN yOUR oWN rOOM wITH BENJAMIN MOORE! Along with our passion for quality paints, we believe in treating the environment right. 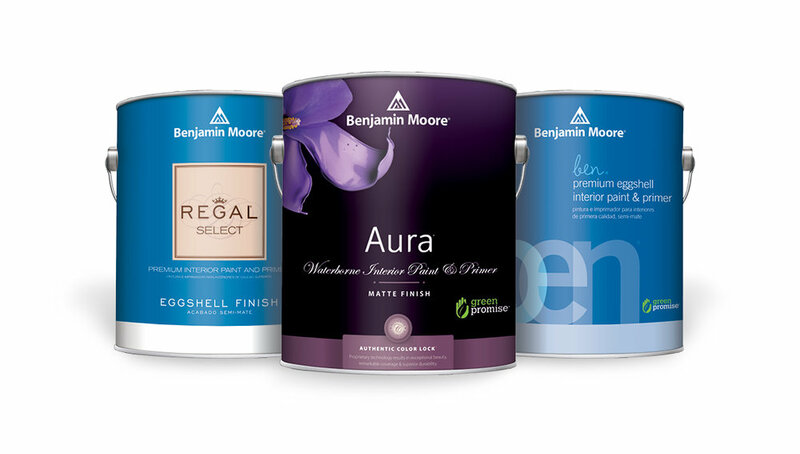 Because many Benjamin Moore paints are low or zero VOC, we offer you the combined benefits of premium paint and a good conscience. Additionally, we offer a selection of Cabot stains, Zinsser primers, Old Masters and Minwax interior stains. Our DIY Blog provides insight and instructions on using our products. Whether you need help choosing a color, or you want instructions on how to go about painting a galvanized roof, our blog has got that information and more.